Learning addition math facts can be a chore, but not when combined with the creative activity of coloring sheets! 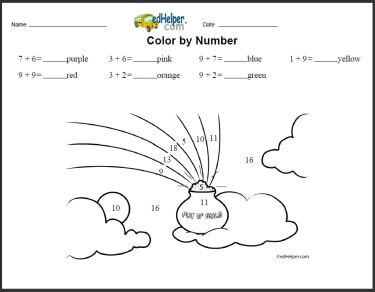 These ingenious worksheets will help students easily learn basic math while creating a beautiful piece of art. Students will want to finish the engaging picture and will quickly master all addition facts that are so vital for future math success!